McGill teaching assistants have voted to strike on the first day of exams. The administration has its horns locked with the AGSEM, the teaching assistants’ union, primarily over pay; although there are other issues at stake. This is not the first time that graduate students are striking on McGill campus. The last one, a two-month strike in 2008, was particularly grueling. Nor are collective bargaining impasses all that uncommon between the two protagonists. Since its founding in 1993, the AGSEM has struck four collective agreements with the university. All of them sans one involved protracted bargaining. In what follows, I will make the case for inflation-indexing future pay increases for McGill TAs. This will not solve the problem of bargaining over pay completely. The university and the union will still need to agree on the current fair wage rate. However, once they have done so, inflation-indexing will ensure that they will never need to revisit the question ever again. I will argue that because industrial actions are especially costly on campus and collective bargaining impasses are mostly about pay increases, McGill would benefit greatly from making future pay increases transparent, automatic, and depoliticized. I will show that not only is my proposal beneficial for undergraduates, it is also in the interest of the university and graduate students themselves. Finally, I will demonstrate that inflation-indexing is straightforward and easy-to-implement. Once solid labor standards are already in place, the most serious concerns of workers are invariably related to pay. McGill graduate students have negotiated hard for equal pay (1998), working hours (2007), and pay increases (1998, 2007, 2008, 2011). This time around, the TAs’ demands include a cap on TA-to-student ratios. However, the principal demand is for significant yearly wage increases. Resolving the bargaining over pay is thus not going to remove the need for all bargaining. But it will take the thorniest issue off the bargaining table. Since college students have a very tight calendar, industrial actions which would be hardly disruptive in other settings can be quite costly on campus. For instance, even though it is not unfair to think of the planned one-day strike on the first day of exams as symbolic, the disruption would nevertheless be significant. Students trekking up to sit through a major exam will be confronted by picket lines and the general disruption caused by striking invigilators. Were there to be an unlimited strike, classes would be cancelled and exams would go ungraded. In general, the rigidity of the academic cycle makes industrial actions on campus extraordinarily costly. What should teaching assistants be paid? Since the university does not engage in price-competition when it hires graduate students, the fair wage cannot be set by the market. Obviously, they must be paid enough so as to maintain a basic standard of living. Beyond that, it is hard to make the case for a specific number. Let us say that the union and the administration agree on $x per hour. If there is no inflation, then neither the union nor the administration would ever need to revisit the bargain ever again. If inflation is nonzero, the bargain would need to be revisited again and again with the attendant risk of disruption on campus. For instance, suppose they were to agree on a 2 percent increase for the next three years. Then the union and the university will be back at the table in 2018, fighting over the exact same issue all over again. With inflation-indexing, we are back to the zero inflation case: Once you agree on a fair wage rate, you need never reopen that Pandora’s box again. Here is how inflation indexing would work. The university and the union would agree on a fair hourly wage rate, a published inflation rate to calculate the adjustment, and the frequency of the adjustment. For instance, the two could agree on a baseline wage rate of $30 an hour; the preceding 12-month consumer price inflation figure published by Statistics Canada; and an annual adjustment to the base rate effected on May 1st of every year. Future pay rises would thus be transparent, automatic, and depoliticized. If inflation-indexing is so reasonable, why then is it so uncommon in industry? It is uncommon for a simple reason. Industrial workers bargain both for restoring living standards (which indexing would fix), and a share of gains in productivity (which indexing cannot fix). The second does not apply to graduate students who are promised no more than decent living standards. Indeed, graduate study is best regarded as an apprenticeship: The real monetary rewards lie in the future. Inflation-indexing is thus particularly well-suited for the TAs’ collective bargaining problem. With an escalating contract tied to inflation, graduate students would not have to worry about the risk of falling living standards. They would be ceding that risk to the university. The university, with its billion-dollar balance sheet, is in a considerably better position to stomach that risk than poor graduate students. Graduate students thus stand to gain more than merely decent living wages; with inflation-indexing, they also get insurance against higher than anticipated inflation. The university will also gain from inflation-indexing. Since its wage bill will track inflation, the university could easily hedge against the risk of higher than anticipated inflation. The university would, in effect, pocket the savings on the cost of insuring against uncertainty in its financial outflows. Indeed, getting rid of real wage uncertainty increases the real economic pie in absolute terms; gains which can be shared between graduate students and the university. Inflation-indexing is sustainable. Super-inflationary pay increases would bankrupt the university. Sub-inflationary pay increases would steadily erode graduate students’ living standards. Neither is sustainable. 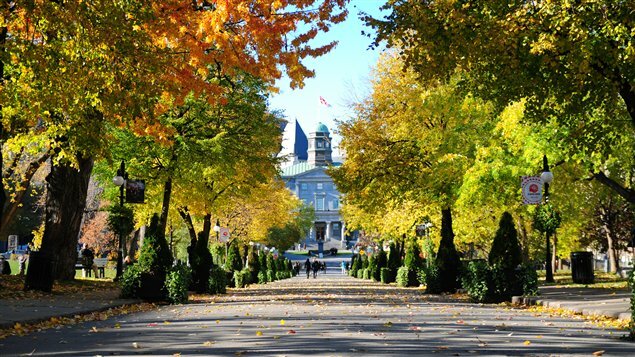 On the other hand, McGill can afford to increase pay at the rate of inflation since the university’s receipts from tuition, endowments, and investment income can outperform inflation relatively easily. McGill undergraduates deserve a campus free of disruption and TAs who are not overworked and underpaid. Graduate students deserve decent wages and freedom from fear of falling living standards. The university needs an affordable and sustainable financial commitment. Inflation-indexing ensures all of the above in perpetuity.